I’ve tried FreeNAS on many occasions over the years. I never really thought very highly of it as it always seemed amateurish and cobbled together. It also never really handled disk failures very well as it had a tendency to freeze up instead of taking the disk offline and sending a proper notification. Then again, the last time I used seriously was version 7 so I’m hoping that all that has been resolved in 9. I’m glad they kept the ability to install to flash media. 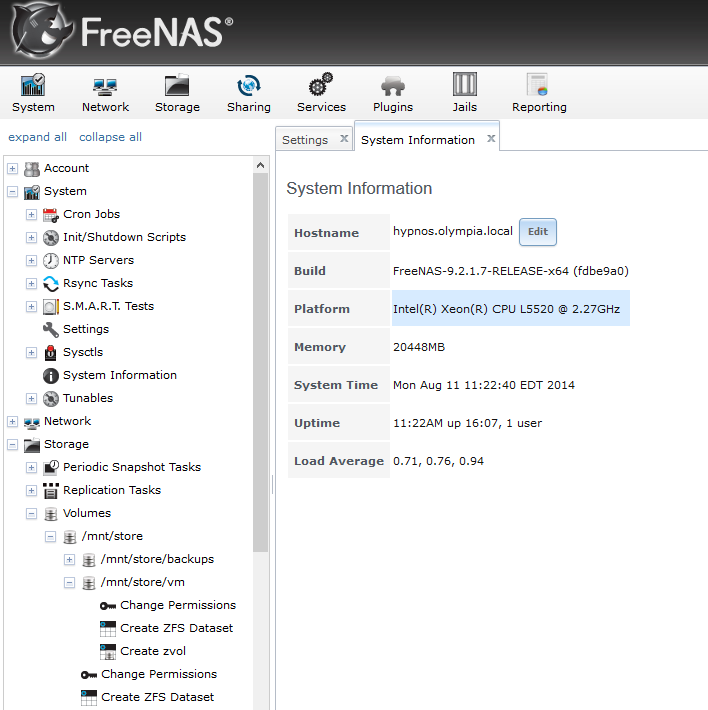 Last time I attempted to use FreeNAS I was having issues with CIFS/SMB performance between the FreeNAS box and several media streaming devices. Hopefully this is now resolved. Installation was pretty straight forward, except for a minor issue during the initial post install boot where the boot process seems to hang for 10 minutes with no output to the console. This is apparently “normal”.